The vital objective of this report is to analysis Overall Human Resource Management Practice in Syntho Laboratories Limited. Other objectives of this reports are to find out the HRM practice System on the Syntho Laboratories Limited, to cover the comprehensive knowledge on overall HRM function in Syntho Laboratories Limited and to critically analyze the function and the operations of each level of the Syntho Laboratories Limited. Human Resource management involves all management decisions and practices that directly affect or influence the person or human resources who work for the organization. In recent years increased attention has been devoted to how organizations manage human resources. This increased attention comes from the realization that an organization’s employees enable organization to achieve its goal and management of this human resource is critical to an organization’s success. The presence of human being is no new invention but identifying them as a resource in a more formal way has been made in the recent days. The history of HRM can be characterized as moving through four phases as craft system, scientific management system, the human resource relationship approach and the current organizational science such as human resource approach. The company considers human resource as an integral part of corporate management for higher productivity. Company follows a dedicated policy for recruitment, training and development, motivating, organizing and retaining and maintaining the existing human resources on the basis of quality education, training and operating experiences. By submitting this report to fulfill my MBA program. The main objective of this report is to find out the HRM practice System on the Syntho Laboratories Limited. It also intends to cover the comprehensive knowledge on overall HRM function in Syntho Laboratories Ltd. Critically analyze the function and the operations of each level of the Syntho Laboratories Ltd.
For the purpose of the study data and information have been collected from both primary and secondary sources. The relevant information collected from primary sources is collected in an informal way. Face to face discussion with employees of different department. I have interviewed and taken some suggestions orally from the personnel of Syntho Laboratories Ltd.
Manual provide by the employee. A group of industries with sustained goodwill & expertise in export Oriented Pharmaceuticals Materials & manufacturing. Syntho Laboratories Ltd. based on Bangladeshi company, started its business operations as a Pharmaceuticals manufacturer supplier in 1988.After that it decided to set up its own factory at Karnapara, Saver . From the very outset this company has been involved in manufacturing specialized Pharmaceuticals Items. The numbers of employment is 800 (Approx:) in Bangladesh and objective of the corporation is to produce Pharmaceuticals For Consumer with utmost commitment. To achieve and maintain a position of world-class Pharmaceutical manufacturer & Supplier. To deal fairly, open and honesty with all employees, Consumers and suppliers. To maintain social and environmental responsibility. To fulfill the Consumer desire through our universal commitment beyond their expectation. To ensure availability of commodity and service in an equally balanced way. Human relations involve some established types of human interactions. The interactions are always independent of the personalities involved. This suggests that individuals are required to be treated differently in order to understand their interactions. Syntho Laboratories Ltd abides by the principle that decisions on Hiring, salary, benefits, advancements, termination or retirement are based solely on the ability of an individual to do the job. There shall be no discrimination based on race, gender, marital or maternity status, and religious of political beliefs, age or sexual orientation. Syntho Laboratories Ltd does not use forced labor in any form-prison, indentured, and bonded of otherwise. Syntho Laboratories Ltd provides each employee at least the minimum wage or higher and provides each employee a clear, written accounting for every pay period. Syntho Laboratories Ltd provides each employee all legally mandated benefits. These include meals or meal subsidies, transportation or transportation subsidies; other cash allowances; health care; maternity or transportation subsidies’; religious holiday; leave and contribution to provident funds. Syntho Laboratories Ltd complies with legally mandated work hours. Each employee when working overtime will be fully compensates work hours. Each employee when working overtime will be fully compensates working hours. Each employee will be provides one day off in seven; and Syntho Laboratories Ltd requires no more than 48 hours of work per week, and no more than 12 hours of overtime work per week. As a commercial organization, the basic function of Syntho Laboratories Ltd. is to earn healthy profit for the Company. However, such basic function is insulated with other collateral functions, e.g. creating working environment compatible to international standard-14001, concentrating high on HRD including lucrative welfare for the employees, carrying out social responsibilities for the employees and, to some extent, for the nation, maintaining high quality reputation management, etc. Syntho Laboratories Ltd. one being a good Corporate Company gives priority to Environment Management, Social Responsibility and Compliance Issues. These are well acknowledged and have reflection in various reviews, audit and visit reports. Syntho Laboratories Ltd. is basically a profit oriented industry. It aspires to have efficient production line to enhance profit as well as reputation. However, the company’s profit orientation is not at the cost of its employees, though it is the leading Pharmaceutical manufacturer in Bangladesh it maintains not more than 3000 employees on its pay-roll. An organization of such employee strength may seem huge – in the industrial arena; but when compared as a fragment of national endeavor towards economic development, it may not appear as a frontrunner. However, it will be unfair to portray that the company is completely passive in the economic development of Bangladesh. Syntho Laboratories Ltd. like any other industry of the country contributes to the GDP and have major share of the economic development caused by overall garments sector of the country. 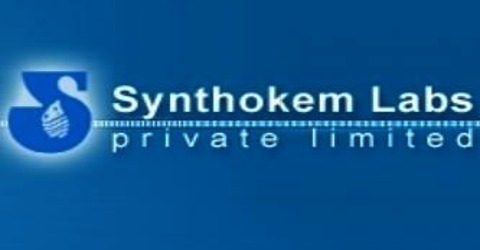 The Syntho Laboratories Ltd HRD is the largest department of the company. There are core responsibilities of the department. The General Manager-(HRD) is the head of the department. There are Manager, Assistant Manager, senior officers, officers and Assistant officers In HRD unit. The General Manager is responsible all the functions of HRD. The Counselors report to the GM also as they need to work in close collaboration with the HRD team. Once HR needs is determined, the next step is filling positions or acquiring human resources. Staffing activities include recruiting applicants, screening and selecting – the most qualified candidates and filling some positions through transfer or promotions. The selection process includes several important steps, the first is: carefully defining the open position and determining what skills are needed” to successfully hold the job. Having determined the specific skills and competencies, employment managers frequently go to great length to increase applicant flow, ~ through a variety of recruitment strategies. The employment manager must then utilize carefully developed and validated procedures in screening and evaluating job candidates. These may include application blanks, interviews, and ability test and reference checks. Information from several of these procedures is then combined ~ into a judgment of the potentials of the applicant as an employee. The various steps of recruitment and selection process that Syntho Laboratories Ltd follows can be summarized as under. Step-1: Requirement from various departments are Sent to the HRD & department. Step-2: HRD compiles and verifies the requirements. After necessary approval, HRD department defines the open position and determine the skills needed to hold the job positions. Step-3: HRD department create the applicant follow through advertisement, and recruitment strategy after carefully defining the job details and job specification. Step-4: The job applications are received and screened by the recruitment cell, which is a part of HRD department. Step-5: HRD department calls for the applicant for interview. Step-6: HRD department under the supervision of Administration department carry out the preliminary interview. Step- 7: Qualified applicants are called for written test, which is also carried out in the same way. Step-8: Qualified applicants are called for final interview and selection is done in temporary basis. Step-9: The temporary selected applicants are sent for induction training for a period of six weeks. Step-10: After completion of the training the employees are sent to their respective department and kept under probation for six month. Step-11: After this probation period is over performance evaluation is carried out and qualified employees are selected permanently. As industries move from manual to a more managerial professions so does the need for more highly skilled graduates. If the market is ‘tight’ i.e. not enough staff for the jobs, employers will have to compete for employees by offering financial rewards, community investment etc. HR planning in Syntho Laboratories Ltd.
HRD department under the supervision of General Manager HR does the HR planning. At HRD department Human Resource acquiring is purely done by Human Resource branch. The responsibility of HRD branch is also to impart the necessary training to the employees and look after the future development of the employees. As the choices of planning for various level goes on – like planning for aggregate level, – planning for each job, planning at individual level, the Syntho Laboratories Ltd centered its focus mainly to plan at aggregate level. Based on time frame, planning can basically be divided into three different categories: Short term, Intermediate term and Long term planning. The role of human resource management is one of strategic partner, administrative expert, and consultant (managing all of the organization’s people related processes strategically). It is the job of human resource department to recognize the reason of decreased turnover, higher employee morale, and they are responsible for involving employees in the decision making process when it is optimal in providing key leverage in an organization’s strategic plan. The HR function consists of tracking innumerable data points on each employee, from personal histories, data, skills, capabilities, experiences to payroll records. To reduce the manual workload of these administrative activities, this organization has began to electronically automate many of these processes by introducing innovative HRMS/PMIS technology. The strength of the permanent employees remains in the range of + 800. Syntho Laboratories Ltd offers equal employment to all, irrespective of gender religion cast etc. Over 72% of the employees are male & rests of 28% are female. Sustain good relation between the workers and the management. Employees’ requirement Sentiments, suggestions, etc. are given due consideration in framing the operational arrangements. Suggestion / Complaint Boxes are provided at convenient location of each Floor. Individual members are encouraged to come-up with their suggestions, in addition to the feedback from the Counseling Team. Display of Posters etc. on safety. It may be added that for health and safety, smoking in the factory is prohibited. Syntho Laboratories Ltd provides well-equipped Medical Center, managed by qualified Physicians and Nurses & net clean dining space both Head office & Factory . The Company maintains a well equipped Canteen. The company provides lunch to all employees and whenever required, also arranges appropriate Tiffin, & breakfast. In addition to the Counseling Team, a Welfare Committee representing the Employees is also associated in looking after the Welfare aspects. Performance appraisal may be understood as the assessment of an individuals performance in a systematic way, the performance being measured against such factor as job knowledge, quality, quantity of out put,initiative,leadership,abilities,supervision,dependability,co-operation,judgement and the like. Performance appraisal and feedback can be adopted as emotionally laden process that dramatically affects employees’ attitudes toward the organization and themselves. If used inappropriately, the appraisal process can have disastrous effects. Communicate Performance Expectation to Employees. The performance evaluation is carried out for each employee both at worker and executive levels to confirm that the employees are performing as expected. At the same time, professional training is imparted to the employees as per trait. 1= Significantly below Expectation SL. 1…7 should be filled up by SUPERVISOR. Total point calculated by HRD. The company has the right to transfer an employee from one location to another at any time, at any circumstances depending on its need. Even a transfer order is delivered at a short notice; the concerned employee must be willing to accept it. By moving people into jobs in the sane grade, managers may be able to improve the utilization of their human resources. Transfer may also be beneficial to job holder, since the experience may provide a person with new skills and a different perspective. All transfer issues are handled by HR. HR issues transfer letter at any time with or without giving any notice period to the employee in consultation with departmental head. The training requirements of various departments are forwarded to the HR Department at the beginning of the year. HRD department carries out the necessary analysis, prepares a training forecast for the year and forwards the same to the Administration Department for necessary approval. On receiving the training forecast the Administration Department approves it with required alterations and/or additional and sends it back to the HRD. The HRD then circulates the revised training forecast Annual Training Program (A TP) of the company to the concerned departments. Wage fixation provided by the local law/ Medicine instruction and its term to relate with US Dollar for only worker level. Our local management calculates the wages for one time in US dollar based on the fluctuation of currency in a calendar year, moreover after confirming the job every employee’s wages/salaries may increase and one increment offer to employee in a calendar year. Two Festival Bonuses in a year. From an organizational or HRM view point, career development involves tracking career paths and developing Career ladders. HRM seeks information to direct and to monitor the progress of special groups of employees (minorities and women), and to ensure that capable professional, managerial and technical talent will be available to meet the organization’s needs. In contrast, individual career development, or career planning, focuses on assisting individuals to identify their major career goals and to determine what they need to do to achieve these goals. It improves the organization’s ability to attract and retain high talent personnel. Performance appraisals are a crucial link in the HRM process: they are the means by which organizations assess how well the employees are performing and determining appropriate rewards or remedial actions. The HRM role in performance appraisal is one of working with line manager to establish the appraisal process, the performance dimensions to be measured, the procedure to ensure accuracy, and requirement for discussion of appraisal results with employees. Employees exchange works for rewards. Probably the most important reward, and certainly the most obvious, is money, Rewards include both direct compensation (salary or hourly wages) and indirect compensation (benefits) that organization offers to employee in return for their effort. Direct Compensation: It includes the monthly salary/hourly wages, sales commission etc. It is designed following the Medicine Industries Organization instruction. Individual expects more than wages or salary from their employers. They want additional considerations that will enrich their lives. These considerations in an employment setting are called employee benefits. Employers realize that the benefits provided to employee have an effect on whether applicants accept their employment offers or, once employed, whether workers will continue to stay with the organization. Benefits, therefore, are necessary components of an effectively functioning compensation program. The irony, however, is that while benefits must be offered to attract and retain good workers, benefits as a whole do not directly affect a worker’s performance. Benefits are generally membership-based, offered to employees regardless of their performance levels. While this does not appear to be a logical business practice, there is evidence that the absence of adequate benefits and services for employees contributes to employee dissatisfaction and increased absenteeism and turnover. Thus the subject of organizationally provided benefits and services is important to the of human resource management. Discipline is something that Syntho Laboratories Ltd can be proud of. Management will never overlook a tiny deviation of internal discipline. That is a tradition exemplified and developed by the chairman. Every incident/accident/mishap within the organization is taken care of through systematic and lawful proceedings. The authority follows a nine-step general procedure to investigate most of its disciplinary cases. All company employees are to observe local laws and industry standards relating to environment and health & safety. Priority is always to be given to the protection of employees, the public and the environment. All hazardous materials should be monitored and the use minimized in favor of alternatives of an environmentally friendly nature. It is to be ensured that all, working activities will release minimum pollutants and emissions into the environment. Office and factory building are to be planned and designed to harmonize work activities, and where possible to keep room for improvement of the environment. First-Aid boxes are kept as per law in every floor of factory & Head office every floor there is adequate employer & employees who have first-aid training. The company maintains a well equipped Canteen The company provides subsidized Lunch to all employees and whenever required also arranges appropriate Tiffin and Breakfast. The company nutritionists select the menu considering average calorie need of an adult. As a routine practice, the raw and prepared food quality is monitored daily. The people involved in Food preparation and serving -all has to have periodical general health check and medically certified. Teams of qualified and trained female counselor are available to handle various employee grievances and other related issues. Every Employer & employee has entitled to have transport facilities from selected destinations & personal need. Safe drinking water in the washroom. There is no doubt to say that the Syntho Laboratories Ltd is the market leader among the Pharmaceutical sector in Bangladesh. They are also sincere and responsible about their factory environment and other policy. They are also trying to develop more. There HR policy is very much organized compare to other Pharmaceutical industries. There have no child care but they are already concerned about it. Some employees said that their food condition is not better which needs to be taken care of. There is no formal orientation program for the newly recruited employees. We can say that Syntho Laboratories Ltd is following all Medecine Company rule and regulation from the inception. They are trying to develop their management system to become dynamic. I would like to recommend the following things to this organization. They should conduct regular survey in their organization regarding various issues within the organization and work according the result. They should remain updated regarding the newly developed industrial software so that they can keep the ongoing pace to grab the business worldwide with more efficiently and effectively. As a participant of the OCP program I really feel fortunate that it motivated me much to build up my industries sector as a good employee. It is quite tough to acquire the elaborate idea about the activities of any organization within a short period. From the learning and experience point of view I can say that I really enjoy myth OCP learning period at Syntho Laboratories Ltd. from the very first day. I am confident that the twelve weeks long days OCP program will definitely help me to realize my future career in the industrial sector of the competitive job market. To gather knowledge about pharmaceuticals Company operation and advance function of a industry is not so easy to understand within this very short time of my OCP complete period. But it is a great opportunity for me to get use to the operational environment of Syntho Laboratories Ltd.